Who gets kicked out of school at six years old? The kid who brings a gun to school? The kid who angrily threatens the teacher or his fellow classmates? Or kids like Junrick, who simply had a hard time sitting still? 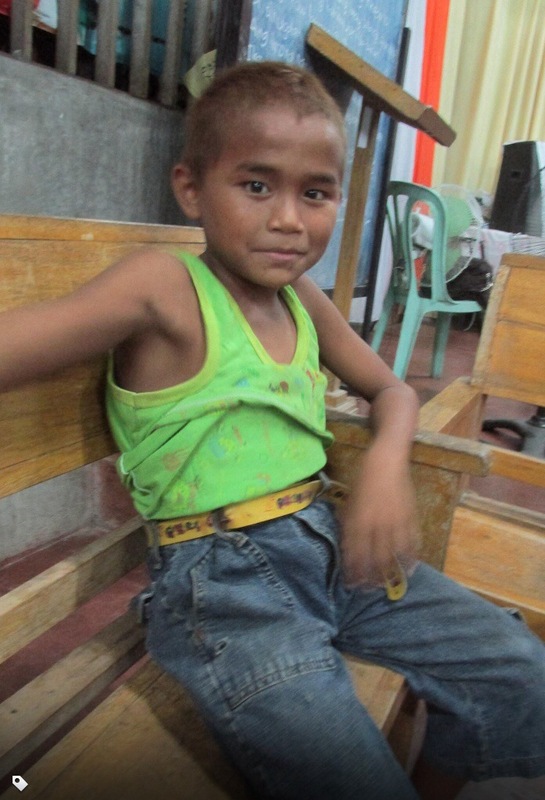 Junrick, now eight years old, has been out of school for over a year, because he wouldn’t stay put in the classroom. Understandably, the teachers here have an unenviable job. They have 50+ kids in their classroom (even the younger grades), often with no assistants, are underpaid, and are under appreciated. They try to maintain an ounce of control, but it’s difficult, and anyone who disturbs that fragile balance is dismissed. There are so many kids, it’s hard to overly invest in just one. But what happens to the future of that one? When they are branded as a trouble maker at age six, what does their future hold? Junrick is spirited. He’s wiggly. He’s feisty. I have broken up more than one physical fight that he has been involved in. He has a short fuse, and unfortunately, other kids like to see how far they can push him. Junrick comes to our kids group at the church on Wednesday nights. He usually arrives without shoes or a shirt, both of which we know he has at home, he just chooses not to wear them. We send him home to get dressed, and when he returns properly attired, he wiggles in his seat, he battles the temptation of other kids looking for a reaction, but he actively participates. There’s more there than just an uncontrollable kid. A while back, Junrick arrived with another boy about his age who I had never seen before. He was tiny and frail, pale, and seemed overwhelmed by the activity and noise level of the class (no problem buddy, I usually am too!) Junrick sat with his arm around this boy for the entire class. Culturally, physical contact between guys (holding hands, hand on the shoulder, etc.) is completely normal and platonic. And, there are very few things more adorable than watching two little boys walking down the street arm in arm, it just about melts your heart. After class, Junrick and his friend were kind of wandering in the church, and we told them more than once it was time to go home. Finally, Junrick said they couldn’t leave, because there were boys outside who wanted to bully his friend, and he had to stay and protect him. Another teacher and I walked them to safety, but i was blown away by the loyalty Junrick had for his friend, and his willingness to risk his safety to protect him. A few weeks later, we had a guest team come and teach the kids. We usually have a set program of worship, lesson, activity, prayer, and dismissal. Well, when we have guests the schedule is more fluid, we just let them do their thing, and we try to keep the kids from hanging from the ceiling. This particular time, it was getting late, so as kids were finishing their crafts, we dismissed them individually. Junrick finished his, and I told him he could go, and he began to rapidly speak in a panicked tone. My first thought was, “ok, who’s waiting to beat you guys up this week? !” but the one word I understood in his rambling was “ampo!”, which is “pray” in Visayan. He was not leaving until we prayed. We stopped, gathered the remaining kids, and prayed together, all while Junrick tightly clutched our hands, soaking it all in. And they say we are there to teach the kids. I learned a huge lesson that night. No one is not worth the investment. I really hope and pray there is a chance for Junrick to return to school, this kid has a future. He has the personality and drive to change the world. He already knows who he is as a child of God. He is engaged in life, and wants to be an active participant, I just hope life gives him a chance. Great story Marlene! thanks for being there for kids like Junrick! Marlene, maybe you need to start a special school for him and kids like him….. You see his potential and that is huge!